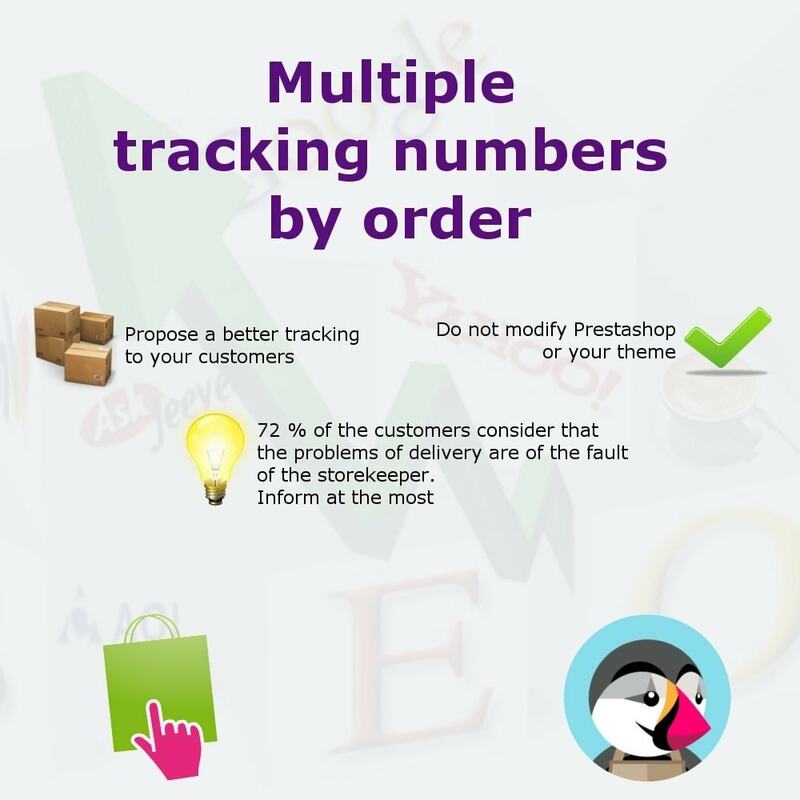 By default Prestashop allows to associate only one tracking number by order. What is blocking for the orders being delivered in several parcel. 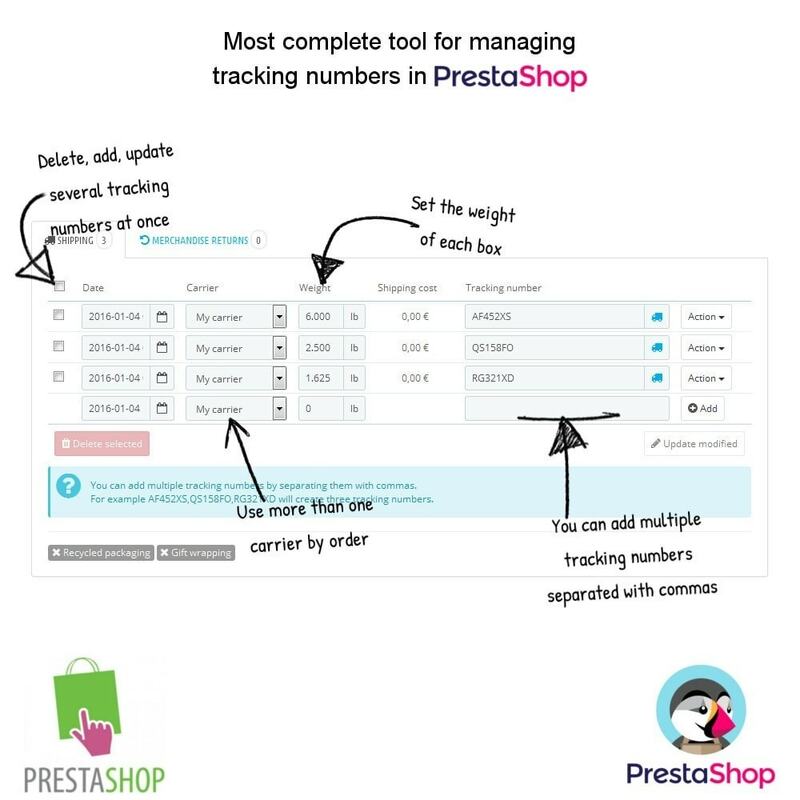 This module solves this problem by allowing you to associate several tracking numbers by order. 72% of the Internet users having had problems of delivery consider that it is the fault of the storekeeper. It is thus necessary in your interest to inform at the most your customers to reassure them and inform them about the state of their delivery. Unfortunately it is not possible in Prestashop if your delivery has several number of follow-up. This module solves this problem by allowing you to add as much tracking number as necessary. You can also modify, delete or associate them to different carriers. 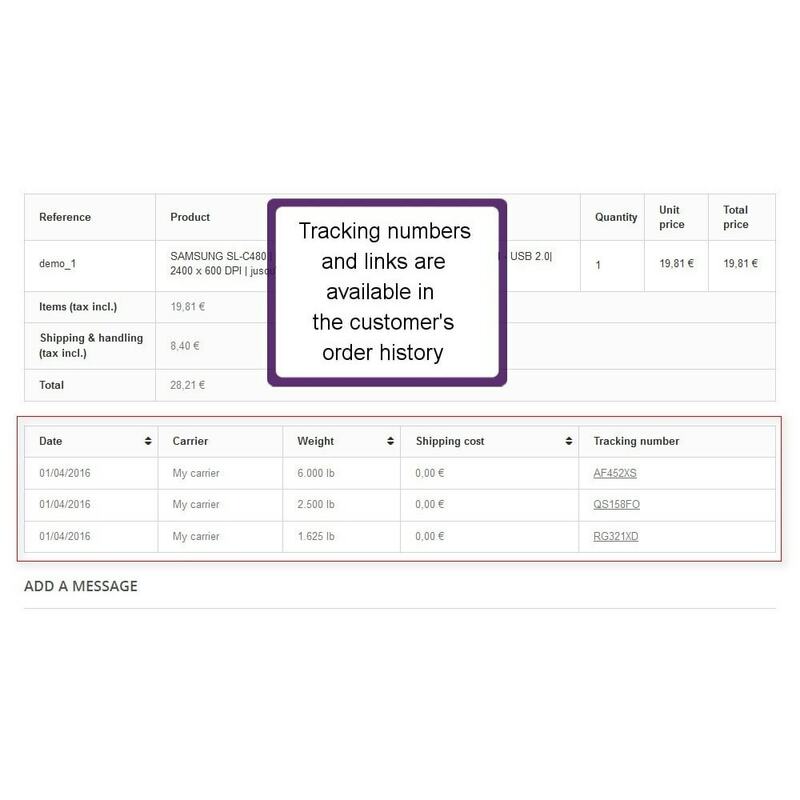 When a new tracking number is associated to an order or when it is modified, the customer receives it by e-mail with a link of follow-up if there is one. It does not modify either delivery slips or invoices. The weight of every parcel can be indicated, this information is shown to the customer. Your customers can follow their entire orders. It avoids them surprises, reassures them and in case of concerns of delivery it shows that you did your possible.